Talia was born to a life of certainty and luxury, destined to become Empress of half the world. But when an ambitious rival massacres the court and seizes power, Talia and her mother are banished to a nowhere province on the far edge of the Northern Sea. On the terrifying journey across the ocean, Talia starts to realize the mysteries of her identity. Her father wasn’t whom she thought, the sea seems to call to her in strange ways, and her mother – lapsing increasingly into madness – becomes obsessed with ancient myths that talk of the sea-goddess Rahn who rules the watery Hall of the Dead. And then one terrible night, her mother leaps overboard, leaving Talia to face an unknown future alone in the bleak, rain-soaked mansion of Ruen-Dahr where she discovers she’s contracted to marry the Baron’s younger son Wendarien. Shattered by grief, furious at being betrothed against her will, Talia soon realizes nothing quite adds up in this dreadful place. Musician Wen and his handsome older brother Caiden are watchful, permanently at loggerheads. Both the boys’ mothers died in mysterious circumstances. No one will let her go near the relentlessly calling and turbulent sea. And the library of old books in the abandoned tower room seems to hold secrets, which no one will explain. Secrets which Talia increasingly comes to believe are connected to her mother’s death. As Talia delves into the ancient stories of her world’s origins, she starts to believe the impossible – that Rahn and her underwater Hall of Death might just exist. And that her mother needs to be rescued from the teeming mass of the Dead. 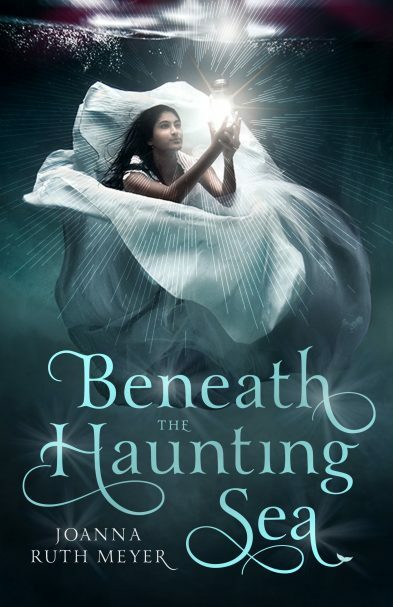 With reality and myth starting to blur, and her feelings on the betrothal gradually changing, Talia and Wen set out on a strange and perilous journey across the ocean to the sources of life and history where the Dead are held captive. But will they ever return? 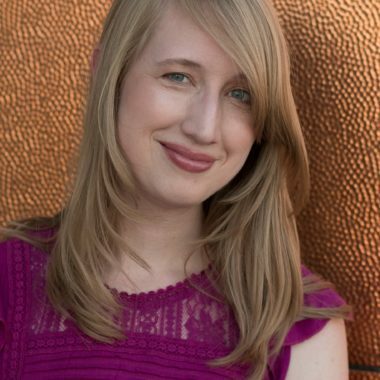 Joanna Meyer’s debut, THE HAUNTING SEA, is a classic high-fantasy novel for teens, which will publish on Page Street’s new YA list. Joanna grew up on classical music and stacks of thick books. She wrote her first story when she was seven, and was published at the age of 13 in the children’s magazine, Stone Soup. She has a degree in piano performance and has been teaching private lessons to children and adults for over half her life. She was awarded an honorable mention in the annual Writers Digest short-story competition. A reluctant desert-dweller, she lives with her husband in Mesa, Arizona, where it never rains (hence her fascination with the world of this story). She blogs at: http://gamwyn.blogspot.co.uk/p/about.html and tweets at @gamwyn.